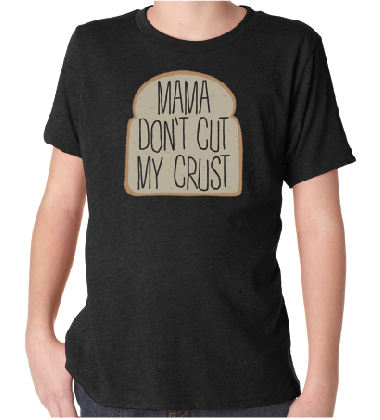 Fatgirl Hedonist: Mama Don't Cut My Crust T-Shirt Giveaway! 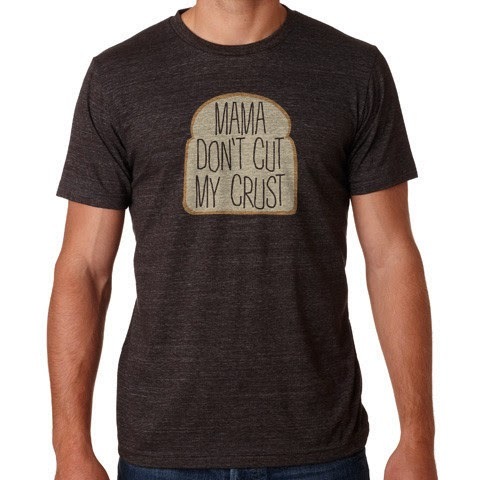 Mama Don't Cut My Crust T-Shirt Giveaway! I'm well overdue for another giveaway, so I've teamed up again with the great folks at Flavour Gallery and Chef Jeff Mauro from the Food Network to give away a couple of his new t-shirts. I'm giving away 1 men's tee and 1 kid's tee to some lucky sandwich fans out there. My favorite celebrity Chef... Hmmm, that's tough because each of the ones I like teach you different things. Emeril would be my first, he really made cooking fun! Alton Brown has such a unique way of seeing things. Melissa d'Arabian is just so inviting and she makes the impossible seem very easy and do-able at home! Jeff Mauro really makes the word sandwich into a wonderland of possibilities! There are just so many out there that give so much, it's hard to choose one! I'm a total science teacher geek. Alton Brown. I would totally design a class around his show and geek out into the chemistry behind food.